Rudding Park offers two courses designed by renowned golf course architect Martin Hawtree. The 18-hole, par-72 Hawtree Course runs through beautiful 18th century parkland and isa challenging track measuring just shy of 7,000 yards. The signature 14th is named Rhododendron Glade due to the colourful surroundings of the green during the summer. For 2019, ‘Amen Corner’ features fairways and greens cut through mature woodland, Rhododendrons replace the azaleas and dogwood and with our version of Rae’s creek coming into play on two holes – this is the closest you will come to the real thing. The 6 hole Repton Short Course provides a challenge and fun for all. The Signature 5th hole is based on the world-famous 17th Island holes at Sawgrass, Florida and plays the same yardage (137 yards). The clubhouse overlooks the 18th green where you can enjoy a relaxed meal and drinks at the bar. 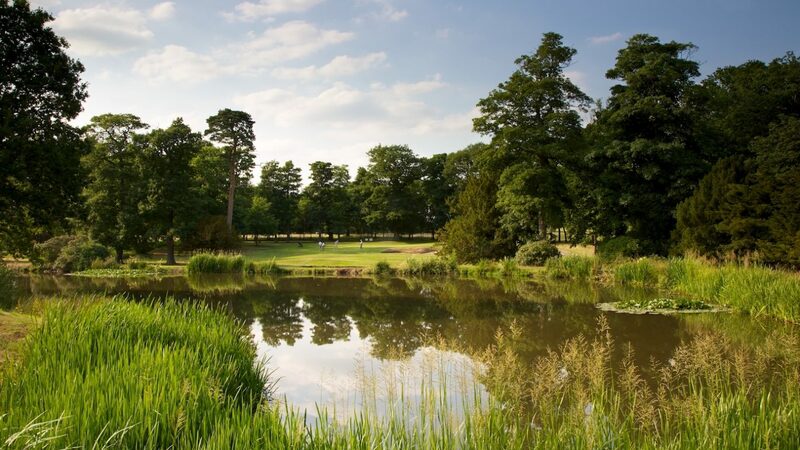 Voted Best Hotel in England by VisitEngland and with an award-winning spa, Rudding Park is an ideal venue for golf groups who want to play and relax or a great alternative for non-golfers.